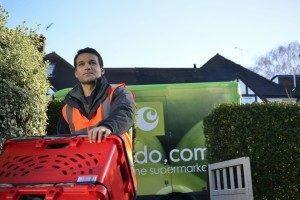 Ocado has released its preliminary 2018 results which show a 12 per cent increase in retail revenue, 15.8 per cent increase on solutions revenue and 12.3 per cent increase in group revenue. “Our performance last year was the result of many years of focus, dedication and perseverance: what we have called our “18-year overnight success”. Our growth story, however, is only just beginning,” said Ocado chief executive officer Tim Steiner. Going forward, Ocado is confident in achieving revenue growth of between 10‐15 per cent (assuming economic conditions stay broadly stable) in its retail business in the 2019 financial year as it aims to increase its fulfilment capacity and grow its market share in the UK. Ocado will also continue to target further solutions deals, which would generate additional cash fees but would impact short term profits. It expects its total capital expenditure to be £350 million, with the increase reflecting the additional capital required to cater to its solutions customers. “Our transformation journey is well under way with increased cash fees earned and greater investment as we execute on behalf of our partners. Creating future value now will involve us continuing to scale the business, enhancing our platform, enabling our UK retail business to take advantage of all its opportunities for growth, and innovating for the future,” said Steiner.